Isn't there just something so picturesque and charming about small towns in Ontario? Sometimes you don't need to go very far to take a mini escape and experience new food, culture, and landscape. That is exactly what I did last weekend. I hopped into a Ford Fusion and set out on the open road with Eleni, my blogger bestie. We escaped the city for one night to discover and explore Niagara-on-the-Lake. We had so much fun cruising around making our way from the city to the countryside. It's so fun going places with like-minded people. I mean who else can you yell "PINK DOOR" at and immediately they jump for joy and start running behind you? Must be a girl thing! Our Ford Fusion was the perfect vehicle to take us exploring! First of all, it was burgundy velvet (aka purple)! How chic. Second of all, it was packed with all the amenities-- A/C (thank goodness because I swear it was the hottest day of the summer), extra cargo room (because us bloggers like to pack), an easy to use Navigation system, lane-keeping system and more! We started our journey in Burlington, Ontario, which is a gorgeous town situated on the water. Coming from the city you will pass Burlington on your way to NOTL. 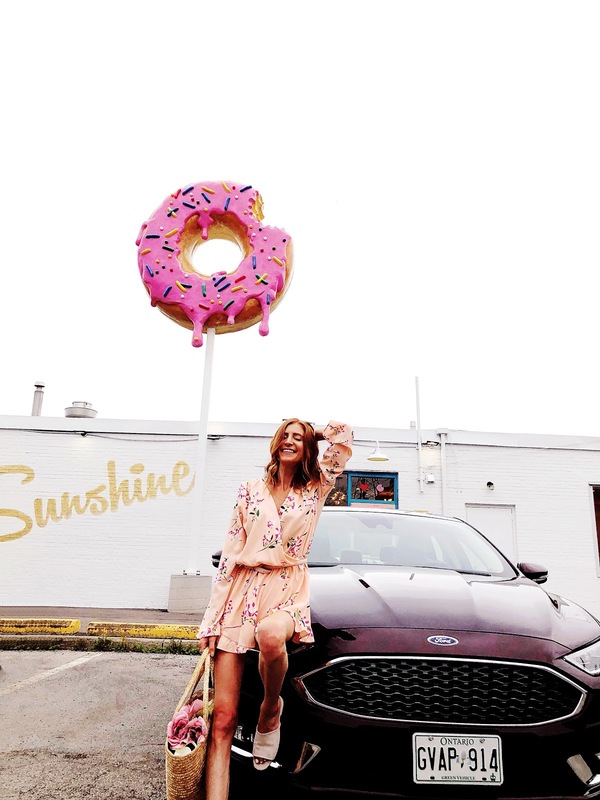 We hopped off the highway and hit up Sunshine Doughnuts Co. Everything from the giant doughnut in the sky, the outdoor wall mural, and the gorgeously styled interior made this spot a must-visit. 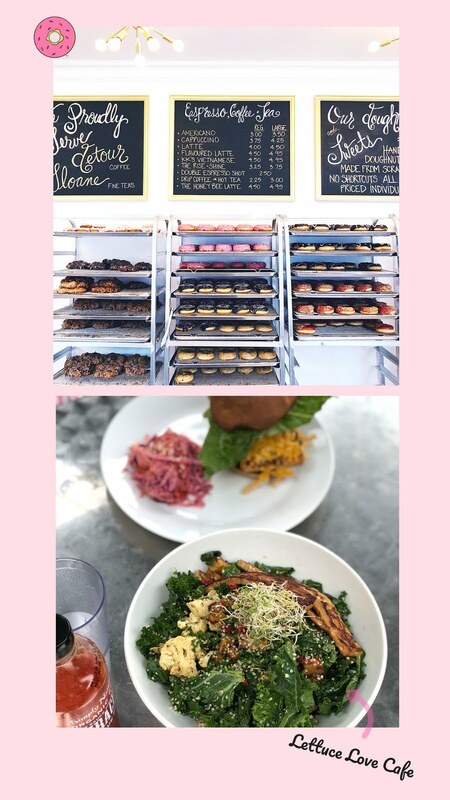 We picked up some donuts and then made our way to discover more of Burlington, Ontario. Make sure to hit up Anise Apothecary to stock up on green beauty products and Centro Garden for some home decor goodies while in Burlington. And if you have time, check out Amanda Steene Cosmetics to make your own lipstick shade. 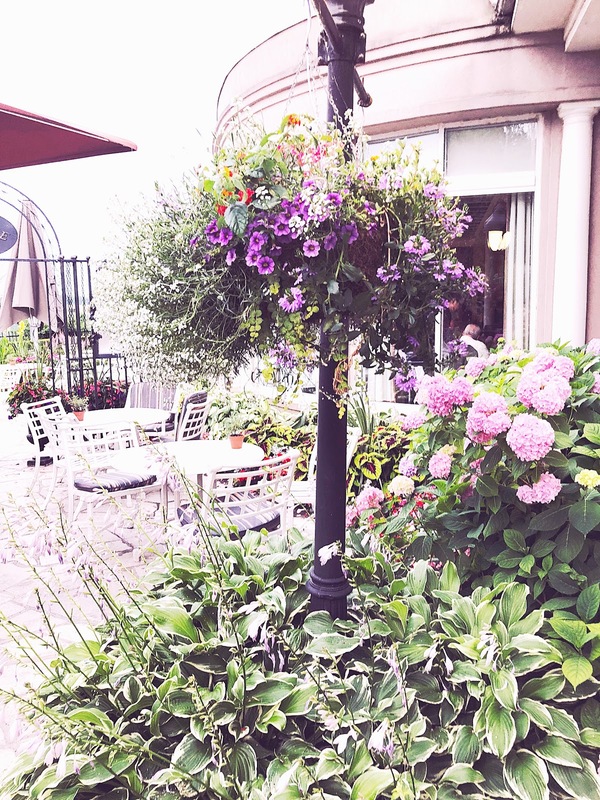 A couple of iced coffees, a crazy rain shower and a few stops for photos along the way, we arrived at our destination-- The Queen's Landing Hotel in NOTL. Pulling up into this hotel was breathtaking! The manicured lawns, the columns, it was all so stunning! 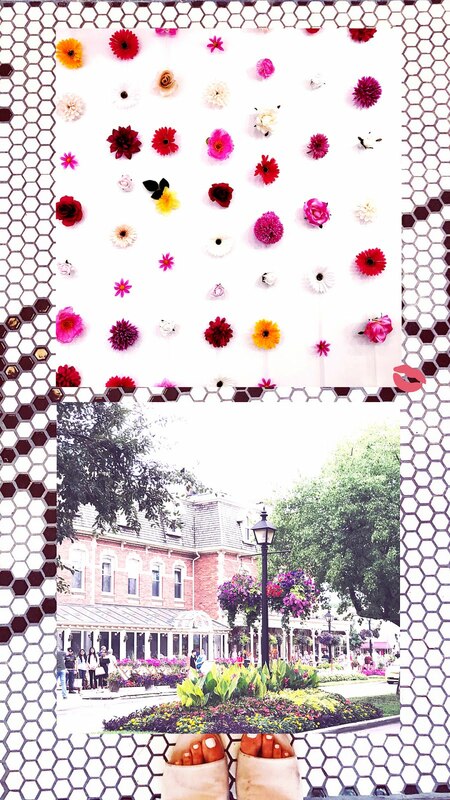 We checked into our room, relaxed for a few seconds and hit the town to discover more of NOTL. So much charm! It really is a real live Star's Hallow. 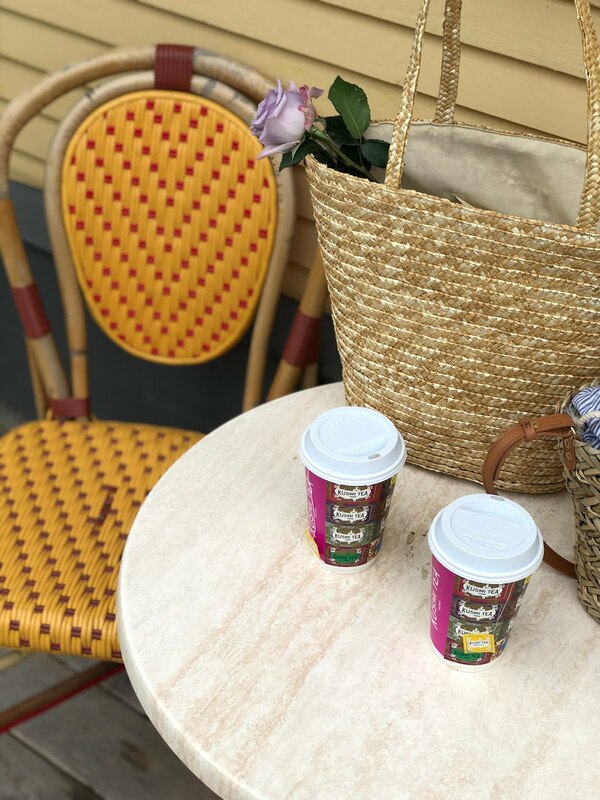 We popped in and out of shops, walked along the water, passed by some vineyards and made our way to Balzac's Coffee to, yet again, caffeinate before dinner. 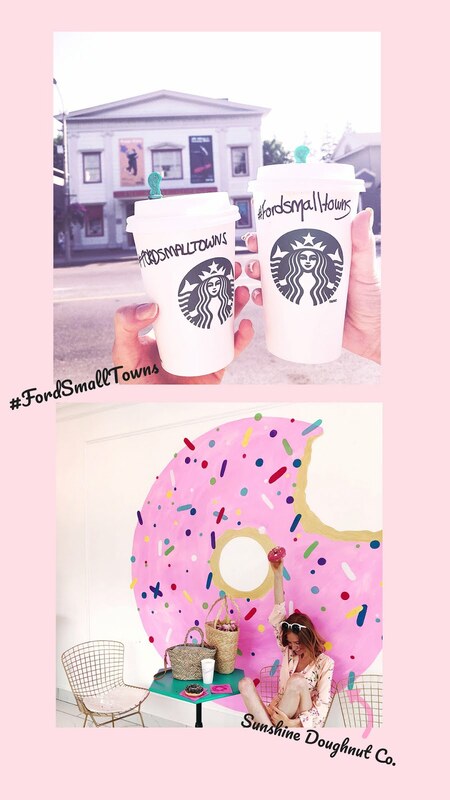 If you're in NOTL be sure to explore some of the shops! 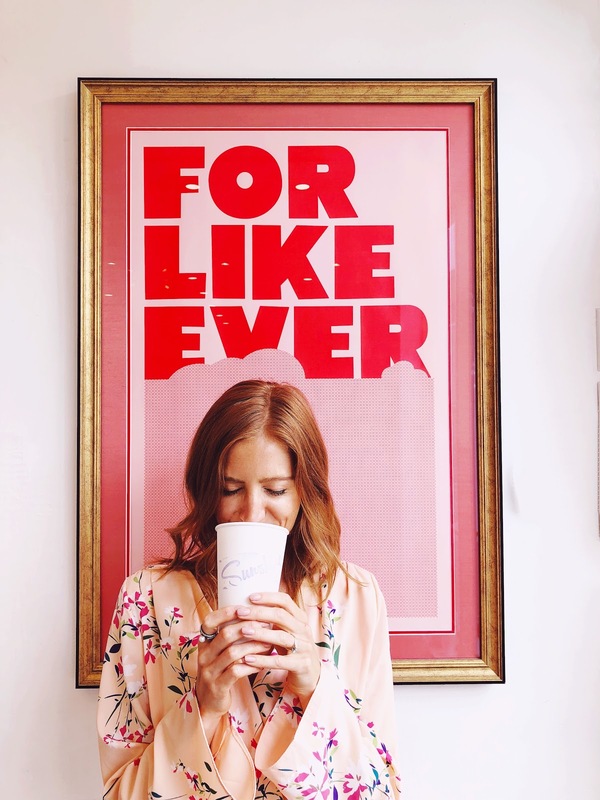 There are so many vintage finds, one of a kind goodies and delicious eats. After wandering into the shops we made our way back to our hotel for dinner. They had the loveliest patio so we relaxed and had a quiet night after such an eventful day! The next morning we woke up early and went for a lovely walk to grab coffee and plan our day. 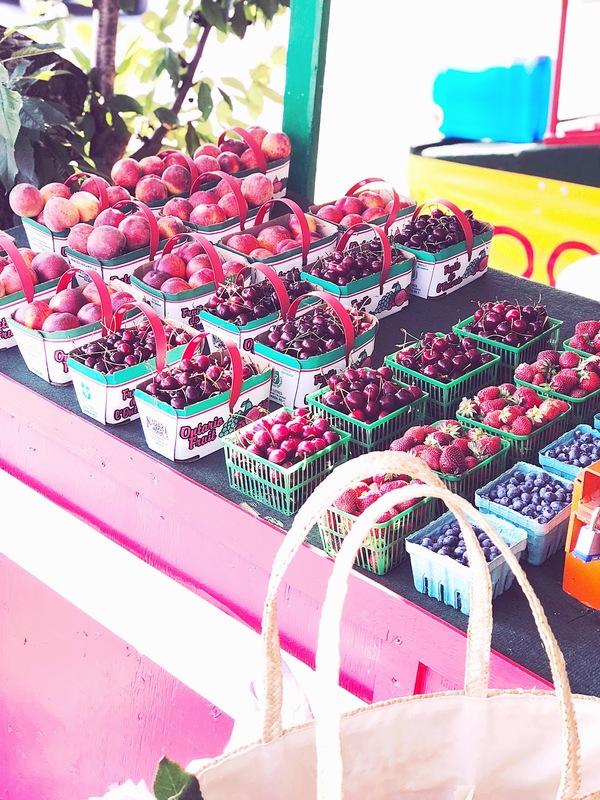 Niagra is known for all the fruit trees so we made our way to a fruit stand where we tried the sweetest Sugar Baby plums! We also took home some delicious cherries. 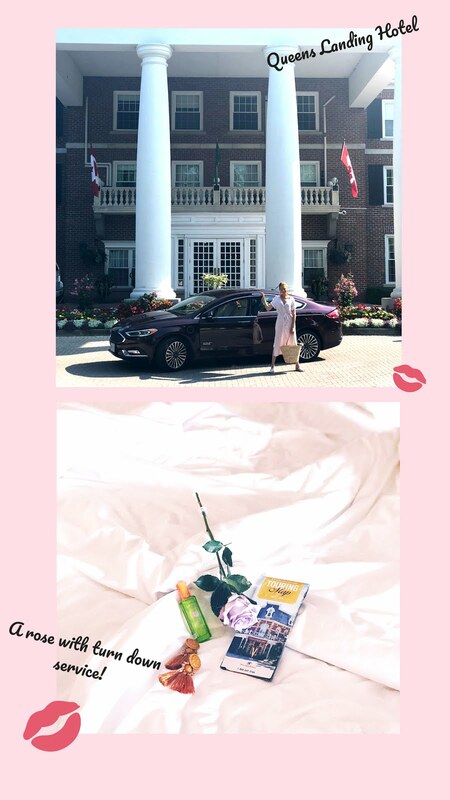 The owners were so lovely-- we chatted, they let us try their goodies then we headed back into the Ford Fusion to our last stop, Neob Lavender. We may have missed the Niagara Lavender Festival by one week, but it's still lavender season and we knew we had to get to the fields nice and early! The smell is intoxicating. I love lavender! It's so amazing for multiple purposes-- headache relief, body aches, relaxation, to induce sleep. I could go on! We stopped in the shop which was conveniently located beside an antique market. We pursued all the goods then finally made our way to the fields. It's a stunning view... the rows and rows of lavender plants! By mid-afternoon, we were ready for our drive back to the city. 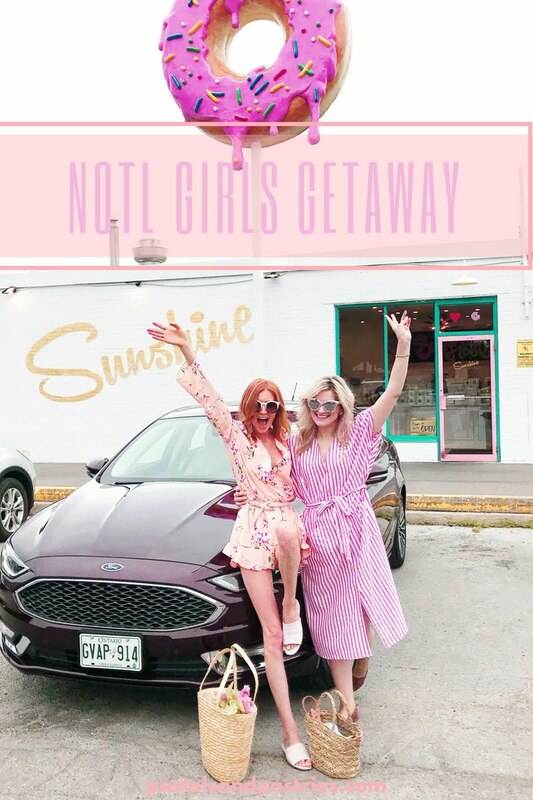 It was the perfect girly summer escape! Next time I would definitely check out one of the fabulous spas or vineyards that Niagara is known for. So much to do, so little time! All I know is I'll definitely be back! Thank you to Ford Canada for sponsoring this post. All opinions are my own. عناية يدوية : عن طريق نزول العمال إلى الخزان و فركه جيدا و تنظيف جدرانه و الأسطح الخاصة به باستخدام المساحيق المنظفة الفعالة و اللازمة لهذه العملية .